Publisher's Point: The job loss was felt at home and changed the course of my life. The average life expectancy for someone who has already reached 65 is 84 for a man and nearly 87 for a woman, according to the Social Security Administration. "[I]t is beyond insulting for people to lecture us about patriotism." Korryn Gaines was live streaming as officers busted into her home to serve a warrant on charges stemming from a traffic stop. In the middle of the standoff, police officials asked Facebook to suspend Gaines' accounts. Three Makerere University of Uganda alumni completing their graduate studies at Iowa State University recently were named the winners of the worldwide 2018 Food Solutions Challenge. "Ask yourself, why is history so important that White folks said we did not have any?" continued anthropologist Dr. Cheryl Janifer LaRoche. "History heals," she declared. 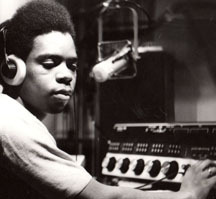 Wayne Young at age 18, then a student disc jockey at Iowa State University. When emancipated from the university on December 19, 1981, Young had hoped to cast down his bucket in his hometown, Gary, IN, but as manufactures such as ANCO left Gary, so did prospects for a good life. Built in 2008, this 4 bedroom, 2.5 bath Floridian home sales for $172,000 in Gary, IN. Photo courtesy of the Calumet Regional Archives - Indiana University Northwest - Gary. As a pre-teen growing up in the mid-1970s industrial heartland, I often spent Saturdays at the old Moose Lodge, which The Anderson Company (ANCO) had purchased and turned into the John Will Anderson Boys Club. I would run all over the building, eat a discounted lunch, and most importantly, build things in Mr. Mack's woodshop, like my daddy would at home. ANCO, then the world's windshield wiper giant helped make America great. 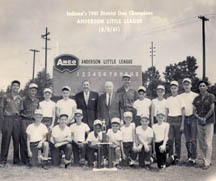 It was also a major supporter of little league baseball, often covering the costs from buying baseball suits to building grandstands for the Anderson Little League. "Little league baseball helps produce good citizens because our boys learn early and well the rules of honest competition conducted in the spirit of fair play," said Anderson in the Gary (Indiana) Post-Tribune. Anderson’s company also hosted an employee library and gifted hams to workers at Christmas. Anderson founded ANCO in 1918 in South Bend, Indiana. 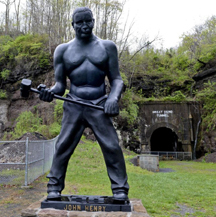 The company moved about 45 minutes westward to Gary in 1925 as the United States Steel’s Gary Works was becoming the world’s largest steel mill and the 19-year-old city was the steel capital of the world. Located at the strategic, sandy, southern tip of Lake Michigan, the mill attracted workers from around the world including the American South and immigrants from Eastern Europe. The city’s school system was becoming internationally known for its work-study-play curriculum and its Americanization of immigrant White European children - - who then dominated the future Chocolate City. A year after Anderson’s death in 1967, when I was in the second grade, Richard Hatcher had become the first Black to head Gary and one of two Blacks (Carl Stokes in Cleveland being the other) to head a major American city. Like many of the other pioneering Black mayors, Hatcher had to deal with White citizen and corporate flight and an eroding tax base in which to provide city services. To make challenges worse, in 1971, Indiana changed a state law that aided White flight - - and its attached revenue - - by allowing former White Gary residents to form a separate town south of Gary, my hometown. Just a year after I graduated from high school in 1978, America was at its manufacturing peak, with some 19.5 million Americans holding manufacturing jobs at places like ANCO says the Bureau of Labor Statistics. By 1983, when I completed graduate school, the figure was down to about 16.7 million. The job loss was felt at home and changed the course of my life. Work opportunities in Gary were becoming scarce, people were fleeing the city, drug addiction among Blacks became an epidemic (except then it was a "criminal," not a "social/medical" problem), people began to abandon their homes, and hope was being tossed into Lake Michigan to drown. In 1984, Champion Spark Plugs, the new owner of ANCO, consolidated its Gary area windshield wiper plants and relocated 20 minutes to the east in majority-White Michigan City, IN. Champion made the move after receiving an enterprise zone tax abatement from the state of Indiana - - a move that seemed to take from a sicker child to feed a sick child. Many blamed ANCO’s move as another example of Blacks, in general, and Hatcher, in particular, for mismanaging the city built on sand. Race may have played a factor in ANCO’s move and did so in the creation of a Whiter town south of Gary, but so did polices created by the US Congress said David C. Allen, then an official at the Gary Post Tribune. When Anderson died, the John Will Anderson Foundation owned 94 percent of the company’s stock, but could not own the company. Allen wrote that Congress made the ground fertile for a larger outside corporation like Champion to purchase the company by prohibiting foundations, like the John Will Anderson Foundation, from owning controlling interests in corporations. Then ANCO president F. Weldon Regan told the Post-Tribune that the move was about being competitive and that it was cheaper to move and to construct a new building in Michigan City then to expand in Gary. Yet, then United Auto Worker Union president Dolores Conroy charged that the move was also aimed at busting the union since the Gary workers would now constitute the minority of workers and the only unionized group at the new plant. Today, I no longer proudly find "Made in Gary, Indiana USA" stamped on the bright yellow boxes of ANCO windshield wipers. Instead the wipers are in plastic sleeves with the words: "Product of Mexico." Mexico is far away from where John Will Anderson, the company’s founder, made his personal home and community reinvestments. But the tax abatements, subsidies, and corporate welfare were not enough to keep ANCO, the company, from experiencing a rapid change in corporate ownership or loss in manufacturing jobs and community projects in America. By 2012, whether ANCO's move was the result of White flight, union busting, or any other divisive, nefarious act, Michigan City, the State of Indiana, and the United States all became just like me and Gary: losers. Champion was bought out by Cooper Industries in 1989. In the early 1998, Cooper sold all its automotive entitles to Federal Mogul. It was under Federal Mogul, that ANCO moved its assembly production to Juarez, Mexico. Today, Federal Mogul has about 45,000 employees in more than 30 countries. Karl Icahn has held substantial or controlling positions in Federal-Mogul. Icahn endorsed Donald Trump in the 2016 US presidential election. The United States now only offers about 12 million manufacturing jobs. 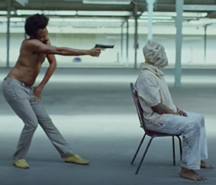 The loss of ANCO jobs were just a part of what Gary and America lost. However, though ANCO helped starve the hopes and dreams of Americans in Gary and Northwest Indiana after a 95 year relationship, Garites still buy ANCO wiper blades. "They buy them because it’s a quality product," says Roger Cruz, a counter professional at Broadway Auto Parts in Midtown, Gary’s traditional Black neighborhood. The loss of ANCO and other companies was felt at home and changed the course of my life. It shattered my dream of returning from college and living and working in Gary, the city that serves as the western gateway to the naturally elegant Indiana Dunes National Lakeshore. And as jobs, businesses, and people left the Steel City, so did the house values of many homeowners including that of my parents. In 2016, the median White homeowner had 38.1 percent of her net worth stored in her primary residence, compared to 64.7 percent among Hispanic homeowners and 55.6 percent among Black homeowners. ANCO’s move helped destroy my parent’s retirement nest egg and my inheritance. Though not attached to the company, the John Will Anderson Foundation still operates from its base in Valparaiso, Indiana with a goal of assisting humanity, "particularly youth who reside in and near Lake and Porter Counties in Northwest Indiana." Andy Young, whose used diesel trucks parts company now occupies the old ANCO plant in Gary added, "Despite the company having left the area, his foundation is still providing services to the community." Since 1967, with more than $259 million in assets, the foundation has awarded more than $167 million in grants. One of its chief beneficiaries is the John Will Anderson’s Boys and Girls Club in Gary. Gary demolished the old Moose building that housed the Boys Club that I knew. The Boys and Girls Club relocated to one of the more than 30 schools Gary has closed and the club, as the new name suggests, now welcomes girls. New housing sits on the downtown site - - part of another effort to rejuvenate our dreams for the steel city built on sand. Claiming Social Security too early can cost you tens of thousands of dollars over the average lifetime. "Life expectancy is the key driver," says Ron Mastrogiovanni, founder and CEO of HealthView Services, a Danvers, Mass.-based company that provides retirement health care cost data and tools to financial advisors. The average life expectancy for someone who has already reached 65 is 84 for a man and nearly 87 for a woman, according to the Social Security Administration. But average is just that: half of people will die sooner and half will die later. Should You Take Social Security at 62 or 70? Given that life expectancy for Black, non-Hispanic males is 70.8 years, and 77.5 years for Black, non-Hispanic women, do you think it is wise that they wait until they are 70 to start receiving benefits? Van Jones with wife Jana Carter, daughter of Billy Carter, President Jimmy Carter's younger brother. 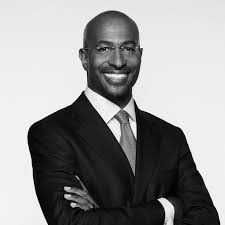 "People in my family, people who look like me have put blood in the ground, have put martyrs in the dirt in this country to have it be liberty and justice for all," Van Jones told CNN anchor Chris Cuomo. "[I]t is beyond insulting for people to lecture us about patriotism." "I am a ninth-generation American, Chris," Jones said. "I am the first person in my family that was born with all my rights recognized by this government ... I don't need anybody to tell me what this flag means and what it represents." Jones’s comments were in response to Trump’s decision to cancel the Philadelphia Eagles’ White House visit to honor their Super Bowl win earlier this year. 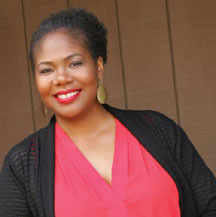 Bradi Collins is the Senior Campaign Director at Color of Change, the nation's largest online racial justice organization. Nearly two years ago, 23-year-old Black mother Korryn Gaines was executed in her own home. Police also shot her five-year-old son. I, like many folks, was horrified to read about yet another Black mother dead at the hands of the police—Korryn was the ninth Black woman killed by law enforcement officers in 2016. I was also enraged at the role Facebook played in destroying this young family. Facebook’s opaque policies on the use of its platform had spilled offline in a violent and disturbing way—and it wasn’t the first or the last time. Gaines was live streaming as officers busted into her home to serve a warrant on charges stemming from a traffic stop. In the middle of the standoff, police officials asked Facebook to suspend Gaines’ accounts via what they called a "law enforcement portal," a part of the site only open to certified law enforcement agencies. Facebook granted the emergency request and took her account offline. In doing so, Facebook removed one of the most important tools Gaines had to hold the police accountable and gave police the license to kill Gaines with no accountability. From left to right, Samuel Kiprotich, Emmanuel Nsamba, and Mike Sserunjogi. Three Makerere University of Uganda alumni completing their graduate studies at Iowa State University recently were named the winners of the worldwide 2018 Food Solutions Challenge. The Ugandans are following a path created by botanist and inventor George Washington Carver, Iowa State’s first Black graduate. 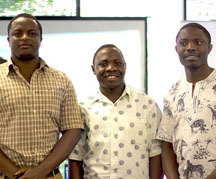 Samuel Kiprotich, Mike Sserunjogi, and Emmanuel Nsamba have been working since November 2017 on their proposal to improve the shelf life of cassava, which is a staple food in Africa and can rot within three days after harvest. The team’s proposal was named the overall winner out of 133 submissions from 13 countries. The students plan transfers genes from a waxy desert plant to yield tubers with a protective layer of wax. The layer of wax helps prevent rapid moisture loss and rotting and in turn lengthen the shelf life of cassava. Watch the video from the winning project. "I felt this competition gave me the perfect opportunity to be part of a new generation of African youth striving to make a difference," Kiprotich said. 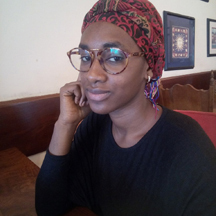 "I got a deeper understanding of how innovation can be transformed from an idea into a practical solution that can help address challenges facing the human race today." Ashoka University of India, came in second, Bard College of New York, took third place, followed by the University of California Berkeley, and the Buea, Cameroon professional chapter. 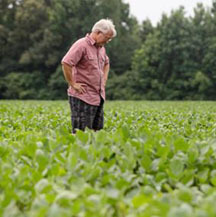 Monsanto, the World Business Council for Sustainable Development, and Net Impact supports the Food Solutions Challenge. The Iowa State team received $5,000. 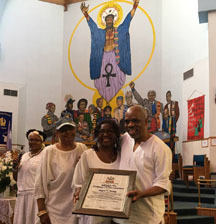 Aza Zhenga (Donna Smith) presented Port Of Harlem publisher Wayne Young the "Walking in the Footsteps of the Ancestors" Award at Union Temple Baptist Church in Washington, DC. Photo by Juanita "BZB" Britton. The African Diaspora Ancestral Commemoration Institute’s (ADACI) 26th Annual International African Ancestral Commemoration on June 9 and June 10 included talks, award presentations, a poetry reading, and fellowship in Washington, DC . Commemorations were also scheduled in Goreé Island, Senegal; Oshun State, Nigeria; Bahia, Brazil; Havana, Cuba; and Detroit, Michigan. At Washington’s Union Temple Baptist Church, Chief Fakunle Oyesaya, an Ifa priest, opened the fast moving ceremony with a talk about the importance of remembering and building upon our ancestor’s legacy and carrying that legacy forward. "If we don’t do what we suppose to do in this generation, then the next generation will not forgive us," he said. In the process of passing the torch, he encouraged participants to embrace themselves and their personal connection to their creator. "Embrace your own spirituality and not that of another person," he strongly advised. From an anthropological perspective, Dr. Cheryl Janifer LaRoche added, "When you know your history, you are not shy about what you see today." LaRoche, who has worked on a number projects ranging from the African Burial Ground in New York to the Hampton Plantation in Metro Baltimore asked the audience to question why White people took such efforts to keep education away from Blacks. "Ask yourself, why is history so important that White folks said we did not have any?" she continued. "History heals, she declared. The ceremony included the presentations of "Walking in the Footsteps of the Ancestors" Awards to Vincent DeForest, Dr. El Senzengakulu Zulu, Vernard Gray, and Port Of Harlem publisher Wayne Young. Ateya Ball-Lacy and Nataleje Oure earned the Sisters of Strength Award and the Men of Union Temple accepted the Brothers of Service Award. 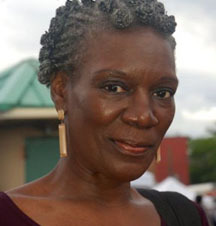 There were several Port Of Harlem readers at the events including Arthuretta Speaks. After meeting Young for the first time, she said , "I've read this publication for over a decade, first in print and now online. I've kept some of the print versions as a reference source. We need periodicals that share information, educate, and entertain but most importantly carry the torch of wisdom for the next generation." With ceremonial drumming the participants proceeded to the nearby Anacostia River for an additional ceremony followed by a reception at the Anacostia Arts Center. "The walk to the Anacostia River and prayer was soul-stirring," said Port Of Harlem subscriber Edward Jones. Sunday’s events included the screening of "Footprints of Pan-Africanism" and a discussion. 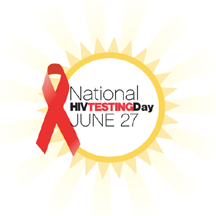 The Centers for Disease Control estimates that 1.1 million people are living with HIV in the United States. Among those, more than 470,000 are African Americans. This includes 74,100 who are unaware of their infection and, thus, are at higher risk of illness and transmitting the virus.